The fuel market is unpredictable but one thing is certain: when crude prices go up, prices at the pump increase immediately. And when crude prices go down, prices at the pump never go down as fast. The average household in Spain spends around 5% of disposable income on petrol/diesel. Given these amounts it could be a good idea to take at look at Spanish consumer organisation OCU’s collective buying initiative. OCU’s aim is to achieve lower petrol and diesel prices for consumers based on volume. Both OCU members and non-members can sign up on the dedicated website QuieroPagarMenosGasolina.org to take part in the campaign. On the website leave your contact details and, optionally, details about your annual petrol or diesel consumption, expenditure and the company you normally use. Inscription ends on 20 Jun 2017. When the best offer is known, you’ll be sent an email with all the details. Additionally if you provided details about your annual consumption, you’ll receive an estimate of the expected savings. If I Sign Up, Do I Have To Accept The Offer? 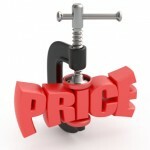 There‘s no obligation to use the company that offers the lowest price if you’re not convinced by the final results. Indeed it could be that your local petrol station is already just as cheap. If you do decide to take up the offer, OCU will let you know how to get the discount card that entitles you to the lower price. There’s no guarantee that fuel companies will make any offer to the OCU. In this case the Organisation will advise you on your best options.